The unfortunate truth is that more than a quarter of the South African workforce has little hope of getting car finance. Firstly, because if you have a bad credit rating, the chances of a bank granting you a loan is next to nothing. Secondly, allot of us, especially young professionals who are just at the start of their career, can only afford a car that is too old to receive vehicle finance. If this is the boat you’re in, don’t give up hope just yet. 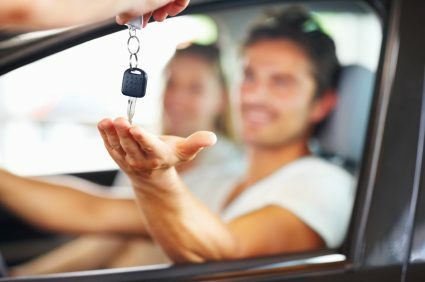 Earn-a-Car has developed a new model of financing that, even if you’re struggling financially or you’re under the burden of a bad credit rating, will see you enjoying the benefits of owning your own car in no time at all. Sound too good to be true? Well, yes it does. Thankfully, for every young professional out there, it’s not. It’s not even that complicated either. Firstly, you choose a car from the vast range of vehicles available in the Earn-a-Car stable. Their range is so big you are guaranteed to find the one you like. Then, if you’ve met a few basic criteria and have put down a nominal deposit, you simply ‘rent’ your chosen vehicle. This means that, instead of having to get car finance from a bank or some other financial institution at some ridiculous interest rate, you ‘earn’ your very own car whilst getting other great extra’s including cash back for every completed month. This process allows you to enjoy the freedom of your own ride in as little as three-and-a-half to six years. However, if you choose not to purchase your vehicle when your contract ends, you’ll get a lump sum in cash which you can spend in whatever way you choose. Contact Earn-Car as soon as possible, because you should not allow something like a bad credit rating stand in the way of your future career success.